Science, Technology, Engineering and Mathematics (STEM) Education is gaining increasing prominence around the world and one Darwin school is leading the way in STEM education. 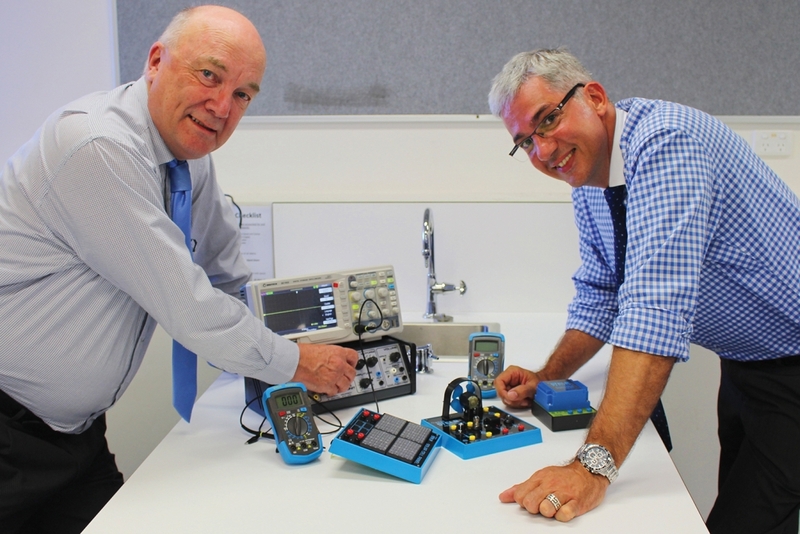 The Essington School Darwin launched its focus on STEM three years ago, the first school in Australia to adopt a school-wide Year 1 to 12 focus on STEM. This year the School has appointed the first Director of STEM Programs to drive it programs across the primary, middle school and senior college years. Rob Slider, previously Science curriculum leader at a leading international school in Singapore, has taken up the first Director of STEM Programs position in an Australian school. Rob is originally from the United States and has taught and lead Science programs in international schools in Asia in the International Baccalaureate and the international Cambridge University program, the IGCSE. Rob has been working with international education and Science consultant, Dr. Gregory Clarke, on STEM Programs for Essington School for this year. Some of these plans include a Middle School STEM Centre, STEM Study Tours to Singapore and Tokyo, and the acquisition of new technologies to use in teaching programs. Assistant Principal for Curriculum, Siobhan Nox, is from the UK and familiar with the STEM program. She said: “These STEM subjects are increasingly needed in the workplace; in fact the day is coming when the lack of them will make life at work a real struggle”. Principal David Cannon said: “Our visiting teachers to the UK STEM Centre in 2014 came back with a passion for this area of education and have been busy integrating STEM curriculum across the Junior and Middle Schools. The appointment of our first Director of STEM Programs will drive these programs across the school this year ”. The enthusiasm for STEM experiences has been catching. Two Essington Senior College student have attended national Science and Engineering programs during the January holidays. Kristin Smith was selected to participate in the National Youth Science Forum at the Australian National University in Canberra. Coco O’Halloran has just returned from a residential Science Engineering Vacation at Sydney University, the only NT student selected for this program. The enthusiasm for Science is shared with their Essington Senior College teacher, Sharra Martin, who was one of three Australian Science teachers selected to attend a study program in Japan in late 2015. Sharra visited a Japanese Super Science School, and toured Sony, the Japan Aerospace Exploration Agency, and the Miraikan Museum of Emerging Science and Innovation. Sharra is currently assisting to organise a STEM Student Tour to Tokyo in 2016 to visit a number of the same displays, and two Japanese Super Science Schools. For further information about the School and its international programs and learning outcomes, Phone: 8985 0100 or email enrolments@essington.nt.edu.au. ← Eat your heart out.